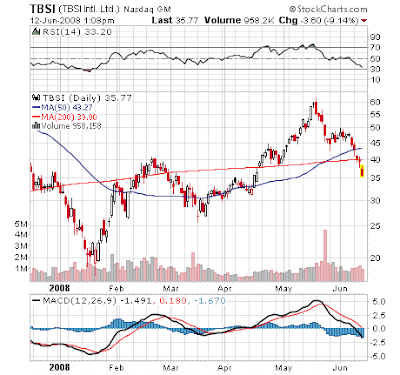 TBSI, and other dry bulk shippers, have put in topping formations and dropped enough that it’s tough to enter short right now. However, there still is room for further downside. I expect to see a bounce soon and may enter short if it’s of the “dead cat” variety. The March low of $26 is my downside target. What is the “dead cat” variety?